Oh we’re going to a hukilau…the words of a famous song known worldwide referring to the beautiful white sand beaches of La’ie bay. 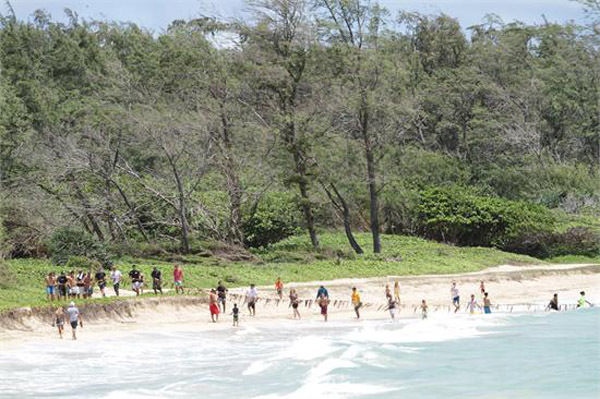 This is where I grew up learning the skills of swimming, body surfing, surfing, fishing, diving and the joys of sharing Aloha. 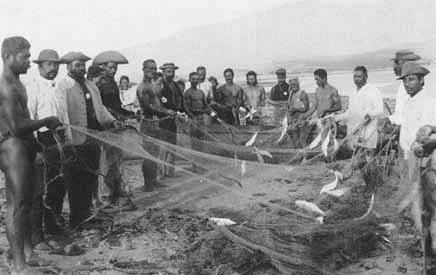 It was in the early 60’s as a young “La’ie boy” that I experienced pulling, alongside the tourists, the fishing nets of the “hukilau”. It was such a fun thing to do every Saturday morning. The all seeing, and all skilled eyes of the lead fishermen, were the spotters of the schools of fish. They would give the signal to start the dropping of the nets which would create a huge half-moon shape starting from the shore encircling the school of fish and make their way back to the shore. The lead Fishermen at the time were Bob Kahawai, Unko 5cen, George Nihipali, and of course the Unkos who made their homes there on the beach of La’ie bay, unko Manauela, unko Doc Aupukehau, and my unko Usi, the brother of my grandmother Sarah Mamane Keawemauhili. As 2013 comes to a close, and we ring in the new year…here are my hopes for us all: I hope we all make mistakes. If we are making mistakes, then we are doing new things, making new things, trying new things. We are learning, living, pushing ourselves, changing ourselves, changing the World around us! We are doing things we’ve never done before, but more importantly, we’re doing something. Don’t sit still…get up and dance! Get your feet in the Sand, Walk on the Beach, Live ALOHA! So that’s my wish for all of you, all of us, and my wish for myself. To make new mistakes. Make glorious, amazing mistakes. I want to make mistakes that nobody ever made before. Don’t worry that it isn’t good enough, that it isn’t perfect. Don’t freeze, don’t stop, whatever it is: art, love, work, family or life. Make mistakes, next year and forever. Mahalo Jeff Hood for your inspiration!! One day while sharing some father and son time on the beach in La’ie, Dad and I began dreaming of owning some property on the beach. 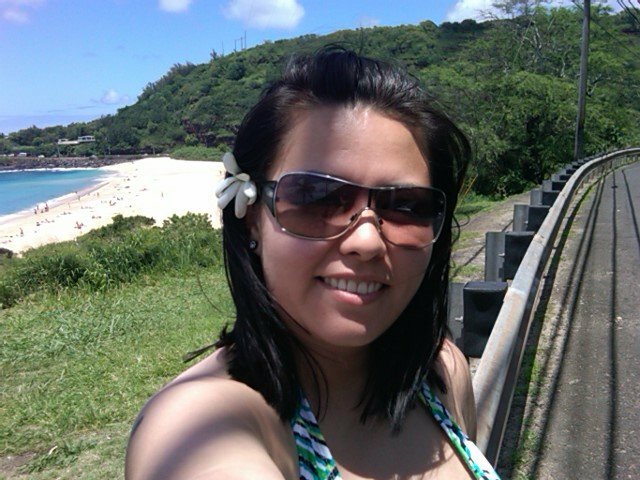 Not just any beach, but specifically the beach where he and I were from, La’ie bay. It was the place where the Hukilau song was written. As we talked and dreamed, we both realized it would be impossible due to the high cost of beach front property, here in paradise. We laughed and joked at the thought of owning just a small piece, and how we would be satisfied, and suddenly, the idea hit us both. Why not make it affordable not just for us, but for anyone who ever dreamed of owning a piece of paradise. Solution? 23.5 sq.in. of beach sand, or the dimensions of a 4×6 postcard. Thus, the long journey began as we struggled to develop and perfect our product, which evolved into what is today, the only 3-D postcard box, cool enough to be claimed as our invention. That was a magical moment between my Dad and I, of which I will cherish all the days of my life. Dad passed several years ago, but I continue to live out our dream. 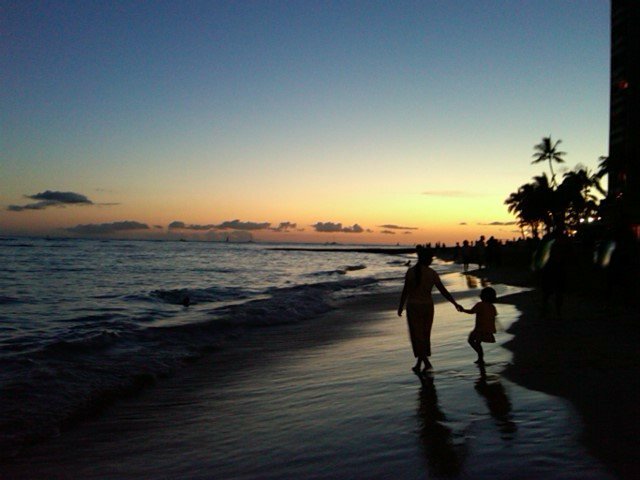 Mahalo Pops for the moment we shared…Aloha oe, until we meet again……..da boy…..
Find this cool idea at http://www.HawaiianUp.com and help spread the word! I’ve always been a shopper, even as a kid I remember shopping for that special “gift” for a friend or family member and the excitement of being able to find something that I knew was perfect for whomever I had in mind for it. Sometimes, looking was just as good as buying but it was those gifts that made me recall a special memory that really got me going! As time went on, it got harder and harder for me to find unique items, something I could connect with…everything looked the same, and nothing had that special~ness to it. The retail market had stagnated, every shop had the same items, or variations of the same items, and it started becoming less and less “fun” to shop for those close to me and more of a “chore”. I began to dread Birthdays and the Holidays because I hated buying things just to be buying things, I like giving people experiences, not just material things! If there is no connection to the gift, it has less meaning, in my opinion. Of course, it’s the thought that counts…right? Well, where is the thought in a t-shirt, or a stuffed animal? They are cute…but they are just, idk…meh!? 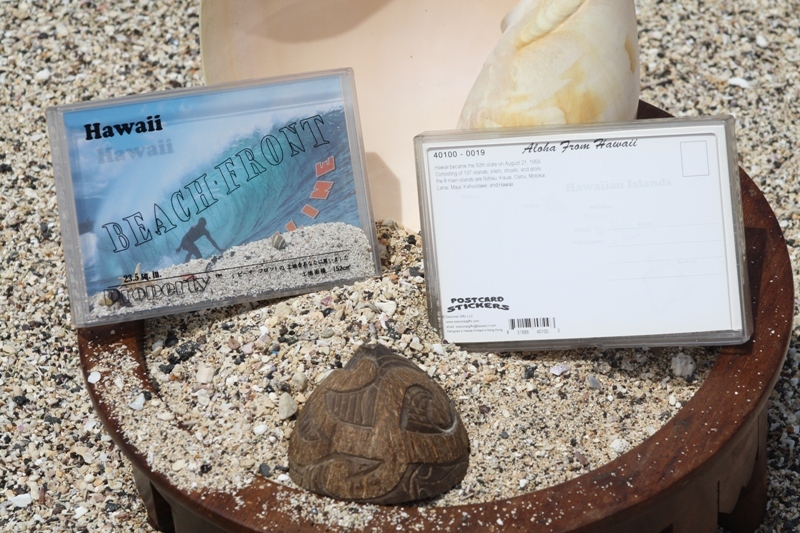 Then, I found the mail~able photo boxes by Hawaiian Up. OMG…hoorah! Now, this is something I could work with! I began “building my own beaches”! 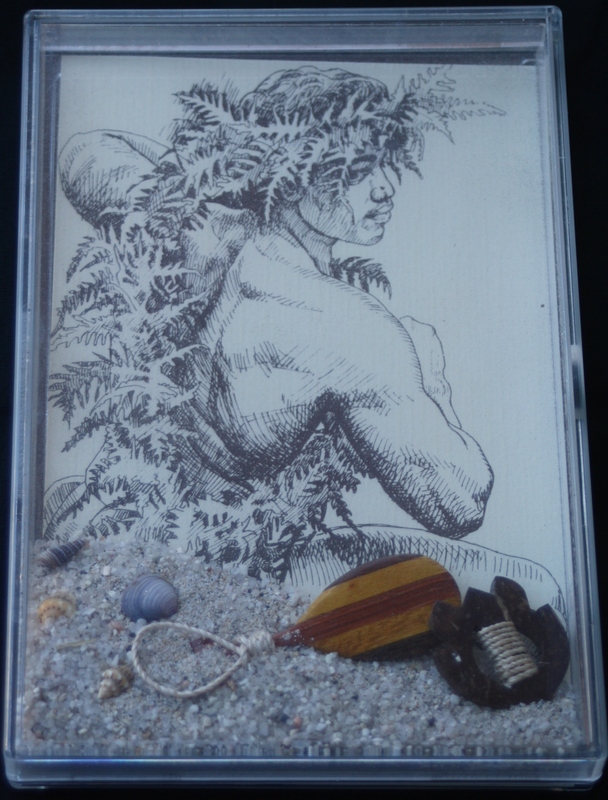 So, I recommend checking them out http://www.hawaiianup.com/index.html if you want something unique…but if nothing else, let it serve as a little nudge to let your inner artist out…and connect with your “gifts” again! Enjoy! Below are just a few I made this year for different occasions…just to get ya thinkin’! 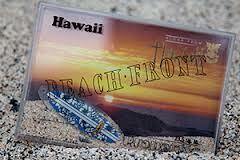 I have had the fortune of traveling to Hawaii twice. From the moment I set foot on one of its islands, I fell in love with it. I was at a point in my life where nothing was going right. After that trip, a lot of things changed for me for the better and I’ve never looked back. 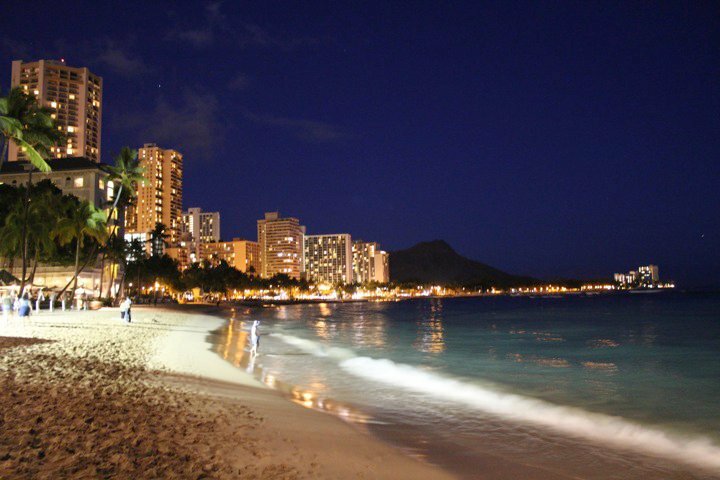 Hawaii, in its own special way, brought me back to happiness, fortune, health, and stability. Because of it, Hawaii holds a very special place in my heart. Both times, I couldn’t get enough of the experience. Unfortunately, neither one of the times I traveled there, I was able to find a souvenir to bring back with me. I’m all about experiences, but there are times when it’s also nice to bring back with you a memento of that special time in your life. I never gave it much thought until recently when I found the right item to hold my precious memories in. Hawaii is truly paradise and I want to remember it always. Through my Hawaiian adventures, I have had not only the opportunity to travel to paradise but also, have had the pleasure of meeting some wonderful Hawaiian people who I have the honor of calling friends. One of those people is my beautiful friend Noelani, owner of Hawaiian Up, LLC. Not too long ago, she told me her company was in the process of developing a new and innovative product that could act as a 3-dimensional vehicle for those having events in their lives and who wanted something different. I was rather curious since I have seen just about anything out in the market when it comes to favors and souvenirs. Once the product was ready, she sent me a sample of it. One afternoon, I opened my mailbox only to find a really interesting item. It was a small frame, but not just any old frame. 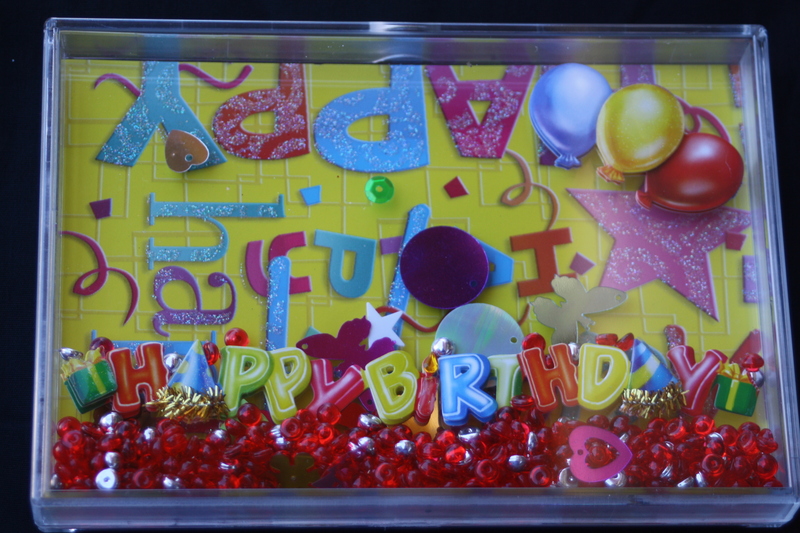 It was a customizable tridimensional mail-ableplexiglass case/frame with a picture and postcard attached to it, and a small amount of sand and shells floating in the case. I had never seen anything like this before. It was a beautiful and unique way of displaying your most loved images. What I loved about it most was that the frame was rather versatile – you could insert other items in the frame to decorate the image attached and make it a more personalized item. 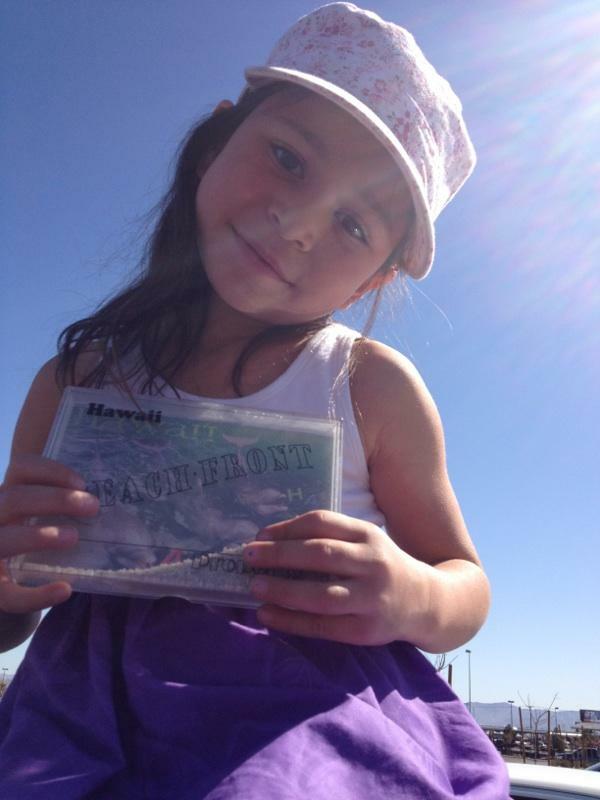 When I saw what Noelani & her company had developed, I was very much impressed. This frame is unique in the way it looks and feels. It’s not an item that will go out of style or clash with any decor. Even though it’s lightweight, it is also well-made and sturdy. Its clean lines make it simple and elegant yet timeless and classic. Most people spend their lives trying to get to Hawaii and not everyone is as fortunate as I was. Some people simply can’t afford it, some others are ill and can’t travel, and for some others life just gets in the way too much for them to able to. Hawaii is a living postcard! So, why not send it to your loved ones in a special way through one of Hawaiian Up’s unique customizable frames and brighten up their day in the process? 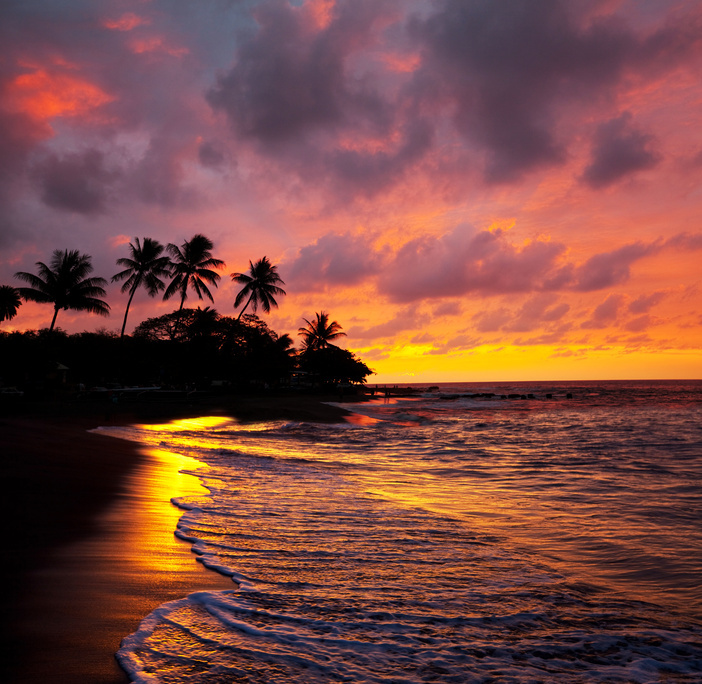 Hey, if your loved one cannot fly to Hawaii, maybe Hawaii can fly to that special person! This frame would definitely make that possible – they can have a small piece of paradise with them to cherish. What better way to uplift their spirit and inspire them? Hawaii is truly a magical place and, maybe, people can get a bit of its magic through this wonderful product. Aloha from the Islands of Hawaii. As a son of a Fisherman, I grew up swimming along with my father as he would spear fish for family meals. It was a very special place I felt as “La’ie Bay”, located on the Northeastern tip of the island of O’ahu, contained several islands which if assembled, would depict a giant Lizard or Mo’o as we say in Hawaiian. The picture of my two sons shows the head of the giant Mo’o in the back ground with the hole representing the eye. It was special to share this with my sons as we live on the Big Island of Hawaii. All they could ask was “are there sharks Dad?”. Soon, it will be time for me to give them the knowledge of swimming to the different islands of the Mo’o so they will know where and how to care for their families when the time comes. In the mean time, I will watch and observe the ocean for the right conditions, and their journey will begin. Aloha! About the Author: Walter Wong is a Native Hawaiian who grew up in Laie, Oahu, Hawaii, now residing on the Big Island of Hawaii. He is the father of 8 children and the Owner of HawaiianUp. 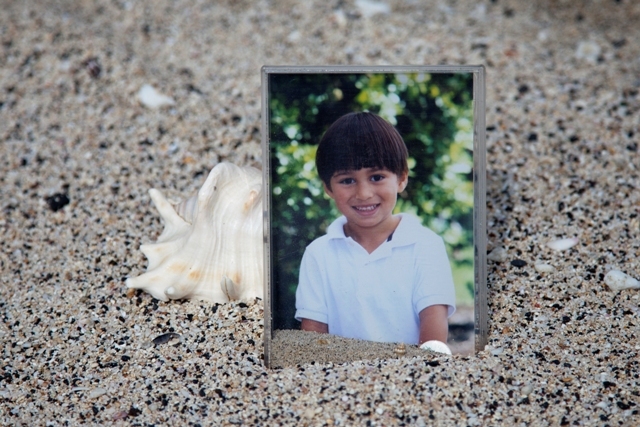 He enjoys sharing stories about Hawaii and helping people to make their own memories. We all used to bring home some of the most interesting, useless items to commemorate our travels. Rocks, Keychains, Statues. When it became apparent that these things were occupying valuable storage space until the day they were thrown/put away, we changed our approach to souvenirs. We bring home a t-shirt or two, because it seems we can always use an extra one while traveling. (The kids love having a stack of souvenir shirts in their closet, and they love to wear them!) Occasionally, a coffee mug, but only if it’s the size and shape we will actually use. And my favorite new souvenir collection brings together all of your favorite things. For me, Pictures and Shells! You can keep memories a little stronger, a little longer with memory cards. Filled with souvenirs collected on trips (Sand, Shells) and pictures developed afterward or items that remind them of someone or an event/milestone, they are like little worlds that can be visited again & again. Kids can add to them or rearrange them anytime they like. It can be a lasting keepsake or gift. You can even put a postcard on it and mail it, just like that! Then it will be a keepsake, with a date stamp right on it! The kids absolutely love creating them, and it helps to occupy them a bit when you get back to to the hotel room after a long day of sightseeing! Create your Memory Card on your next Trip! http://www.HawaiianUp.com … oh yeah, it’s mailable, no external packaging needed! !